The tropical African island of Zanzibar has been voted one of the best destinations on the planet. Located off the coast of East Africa, Zanzibar attracts thousands of tourists every year to its powder-white beaches and swaying palm trees. You can expect crystal clear waters, fascinating coral reefs and the chance to discover what it’s like to swim with dolphins. Zanzibar offers accommodation for any budget, with a variety of adventure activities such as a spice route tour, bustling markets with fresh produce, seafood and fragrant spices. The weather is warm and humid all year round. Whether you’re looking to celebrate your honeymoon, spend some quality time with your family, or if you simply need a respite from the pressures of the modern world, we highly recommend visiting this stunning island paradise. If you’re not sure yet, perhaps these five must-do activities will help to convince you. 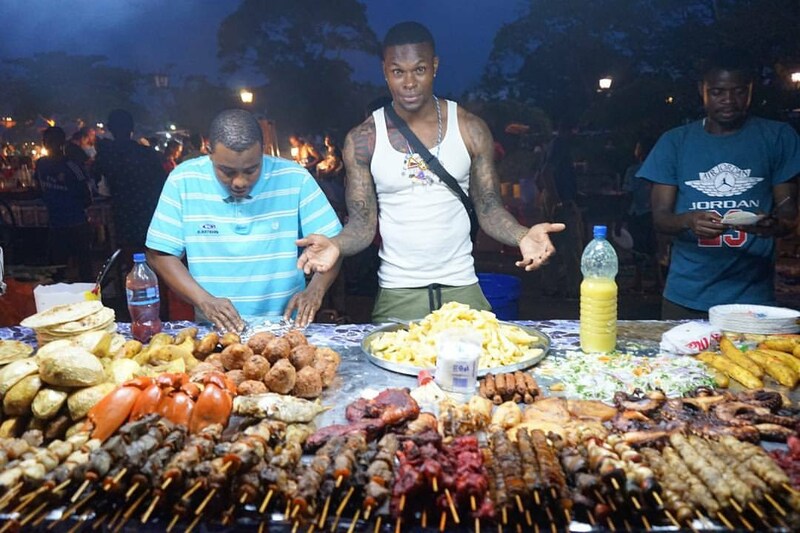 Each evening, visitors can enjoy a bustling market, music and sample some excellent Zanzibar street food. With the catch-of-the-day being served up fresh, with the unique spices that this island is well known for, this is a must-do activity for families or those looking to meet some locals and make friends. Initially used as a Arab container for rebellious slaves during the slave trade era, Changuu Island is rich in history and architecture. The prison was built by the British, but was never used for this purpose. A short 30 minute boat ride from the main island, this activity allows you the chance to enjoy spectacular scenery and snorkel to your heart’s content. This island is also home to the endangered giant Aldabra tortoise. Find out more here. Zanzibar is a diving mecca. The visibility in the water is excellent, giving you the chance to explore the coral reefs and discover the unique marine life that calls this magical island home. Hire a boat with crew for the day and head out into the deep seas, where you’ll get the chance to fish for yellowfin tuna, marlin, bonito and dorado. This is an inexpensive activity, with experienced and friendly crew that will show you the best fishing spots. The eastern part of the main island is home to a national park called Jozani Forest. Here you can learn more about the flora and fauna of the area and meet the rare red colobus monkey (endemic to Jozani Forest and Zanzibar's main island of Unguga), Ader’s duiker, bushbabies, over 50 species of butterflies and 40 species of birds. This is but a handful of things to do on the island and surrounds. Offering budget to luxury accommodation, there’s a beach safari package waiting for you.